In the Middle East—just as in the Antarctic—merely starting an engine can excessively tax an aircraft. “Whether it’s extremely hot or cold, the temperature starts to inhibit a battery’s ability to perform,” said Eve Storm, president of Start Pac (Booth 975), which makes portable starting and ground power units (GPUs). The resulting inefficient starts can put excessive wear on both the engine and battery. U.S.-based Start Pac is displaying at MEBAA 2018 a selection of its units, which can power up any electrically started business aircraft or helicopter engine while “helping to extend turbine life and battery life,” said Storm. 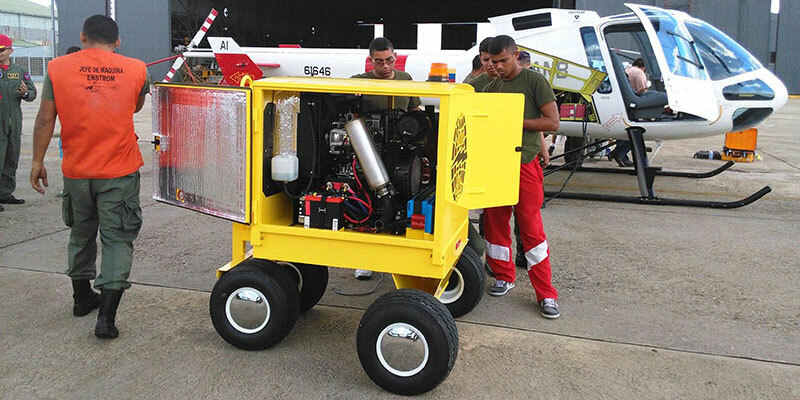 With the region’s dust creating a need for frequent engine pressure washings, Storm also noted an auxiliary unit can power the process, again saving engine and battery wear and tear. Start Pac’s wide selection of portable starters and GPUs, all single-phase, come in 24- and 28-volt capacities (the latter providing faster, cooler starts), in both lithium-ion and lead-acid battery models. Though slightly more costly, lithium-ion units weigh about 40 percent less and are some 30 percent smaller than lead-acid batteries of comparable power and last about twice as long. The iron phosphate chemistry that power Start Pac’s lithium-ion batteries are free from the threat of thermal runaway seen in some lithium battery-powered devices, said Storm, and about 8,000 of its lithium-ion battery power units are in use worldwide. In addition to off-the-shelf products, Start Pac custom designs units to customer needs without extra charge, Storm said. “We’re pretty agile, and we can usually get the design into their hands in 30 to 60 days. We really do our absolute best to be responsive.” Start Pac recently delivered 26 custom GPUs to the U.S. FBI, Storm said.